A. Weddings are very expensive these days but that doesn't mean that you need a huge budget to have an amazing day. However with a budget of around £10,000 you may need to be careful where you spend. My first tip is to be very careful when choosing your venue as this will be your biggest expense. 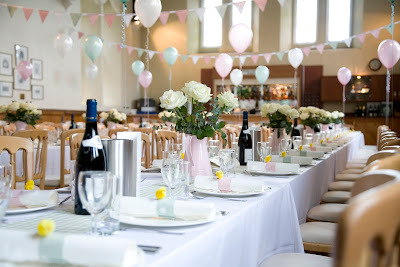 To make sure that your budget stretches you ideally don't want to pay more than £1500 to hire a venue. This doesn't mean that pricier venues are totally ruled out. A lot of the large venues have cheaper rates for last minute availability, mid-week and out of season Weddings so you may have to rule out a Summer Saturday to get the right price. Village Halls can be a great option too as their hire prices are really competitive and you have free reign with catering and decorations. My final tip would be to use the talents of friends to keep your budget down. If a family member is a great baker ask them to make your cake or perhaps you have someone who can sing or play instruments during your ceremony. One word of warning though, don't scrimp on your evening entertainment as it makes such as difference to the Wedding atmosphere and always get the best photographer you can afford. Steph is a Wedding Planner and owns How 2 I Do Wedding Planning.